Louis XVI was the last king of France who ruled the country from 1754 to 1789 before ended with the French revolution. When Louis XVI succeeded to the throne in 1774, he had an big responsibility, as the government was deeply in debt, and resentment to 'despotic' monarchy was on the rise. During his reign big changes were happened, the change in the governmental system from absolute monarchy to the democratic republic was very important event in the history of the country. Louis XVI also signed the Edict of Versailles, which was an important step in to the religion tolerance in this country. The circumstance of the socio culture and economic was also influence the model and style of the furniture at that era. The furniture style at era was very different and was recognized as the milestone in the classic furniture style. Different with the previous model, the Louis XVI furniture style was dominated by the straight and firm form. 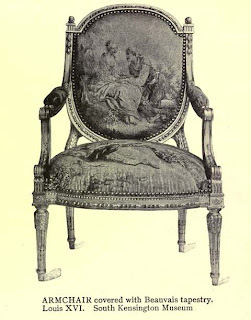 The gently and curved shape that was very popular in the previous era was not found on the Louis XVI furniture. The straight and square with sharp form dominated the shape for most furniture; cabinets, desks, bed and even the chairs and sofas were made in the straight and square. The style impressed of manly, firm, logical and serious was strongly appeared from the Louis XVI style. The substrate was widely used were mahogany, walnut, oak or cedar. During his reign was the golden age of French furniture and craftsmanship. 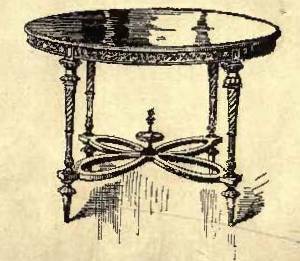 The furniture was decorated with inlay, gilt or ornament embellished the straight, stiff and strong form as the main shape. 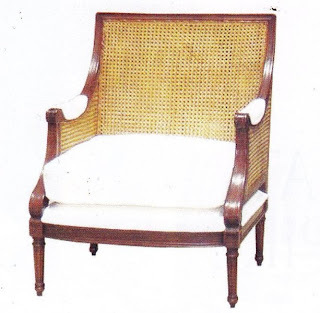 The chairs and sofa also were made with straight frame, arm and legs and rectangular back rest. 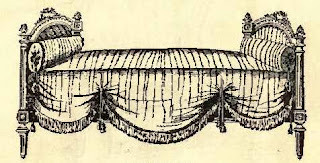 The straight flute leg or rectangle were used to replace the curved forms from the Louis xv or earlier. 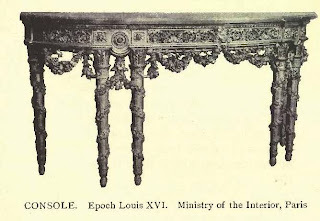 The Louis XVI style furniture was one of important element in the classic style furniture history. 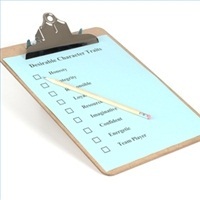 The style is still widely used as reference by the furniture designer. 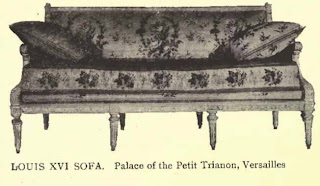 The Louis XVI furniture with various modifications are still be found in the furniture market. I would love to have this kind of contemporary furniture. It is best fitted in a living room or bed room. I'm sure that a room or a part of the house will look luxurious with these kinds of furniture. Manufacturers of High Quality Modern Furniture. Most of us dream for a Beautiful house with the best equipments looks. Everyone want to get his house is decorated with the model and product according to his taste. Every model has his own beauty. Louis XVI Style furniture is really makes a aristocratic style in our house and the house also looks fascinating. Nowadays, these old but royal designed furniture's demand is increasing as it helps to remind our very past. I have some white furniture and now I want to redesign them like these louis style without changing the withe color. Anyway, thanks for sharing this informative and useful post.